Photo: Dr. William Claudius Irby House, ca. 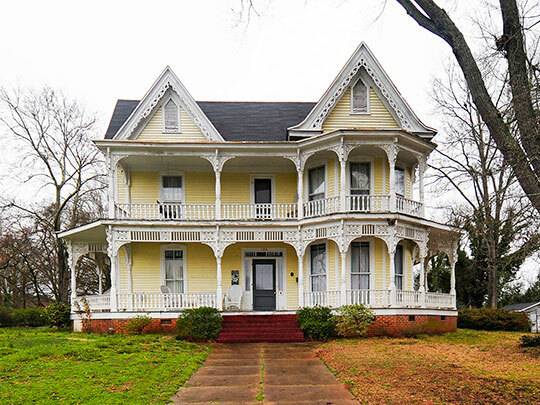 1890, 132 Irby Avenue, Laurens, SC. Listed on the National Register of Historic Places in 1986. Photographed by User:Bill Fitzpatrick (own work), 2012, [cc-by-3.0 (creativecommons.org/licenses/by/3.0)], via Wikimedia Commons, accessed August, 2014. Mary Watson, John Wells and Susanne Pickens, South Carolina Department of Archives and History; Mrs. Charles Allen and Ruth LaForge, Upper Savannah Council of Government, Laurens Historic District, Laurens County, NC, nomination document, 1980, National Park Service, National Register of Historic Places, Washington, D.C.